Are you in the market for some affordable phablets this summer? 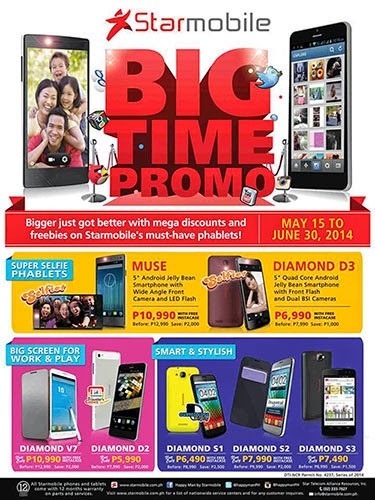 We'll guess what, Starmobile has dropped the prices of its best selling smartphones until June 30 in kiosks, stores and resellers nationwide. The local vendor’s Big Time promo covers considerable price drop of its Diamond S phablet series - Diamond S1, S2 and S3. Prices drop to Php 6,490 for the Diamond S1, Php 7,990 for the Diamond S2 and Php 7,490 for the Diamond S3. And if you’re wondering how these phones fair up in terms of hardware capabilities, we have compared their respective specs right after the jump.